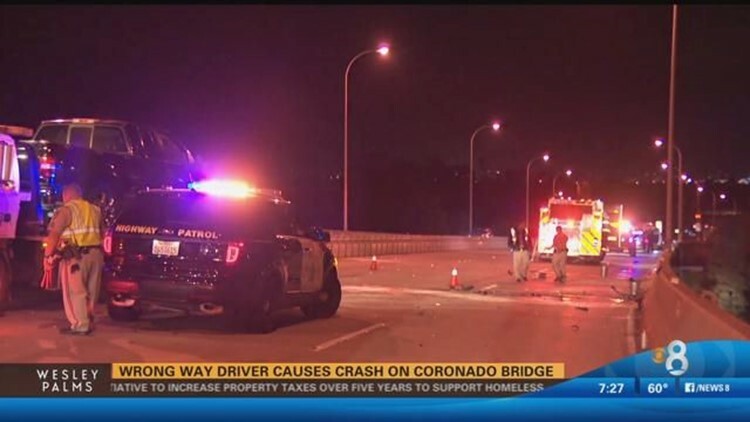 SAN DIEGO (CNS) - A woman who was drunk when she drove the wrong way on the San Diego-Coronado Bridge, causing a three-vehicle injury crash that prompted a two-hour shutdown of the span in both directions, was sentenced Tuesday to a year in jail. Judge Timothy Walsh said Briana Rall, 25, can serve her custody in a work-furlough program if she qualifies. The judge also placed the defendant on probation for five years. Rall pleaded guilty last month to DUI charges. She was behind the wheel of an eastbound Ford Fusion that collided with a Ford F-150, then struck a Dodge Ram in the westbound lanes near the toll plaza on the Coronado side shortly after 4 a.m. on March 27. Rall was taken to UC San Diego Medical Center to be treated, as was the driver of the Ford pickup truck, who suffered major injuries in the crash. The 27-year-old San Diego man who had been driving the Dodge pickup was treated at the same hospital for minor injuries, said California Highway Patrol Officer Jake Sanchez.